SWOT — the State of the World’s Sea Turtles — is a partnership led by the Marine Species Flagship Program at the Oceanic Society and the IUCN Marine Turtle Specialist Group, and supported by the Marine Geospatial Ecology Lab (MGEL) at Duke University. Since 2008, MGEL has led the collection and management of sea turtle nesting data, in collaboration with the Marine Species Flagship Program. In addition, MGEL has designed and developed a SWOT online database/mapping interface within the OBIS-SEAMAP data node, built upon the data collected by the SWOT team for the SWOT database. The lifeblood of SWOT is the network of more than 450 people and projects that contribute data to the SWOT database, which provides the only comprehensive, global perspective of sea turtles. Since 2004, data have been collected annually from the SWOT team with a focus on the nesting habitat for all seven species of marine turtle. Furthermore, SWOT has determined recommendations for monitoring effort schemes (minimum data standards or MDS) and has applied these standards to all data within the SWOT database, which will allow for long-term nesting abundance and trend estimates for regional and global populations of sea turtle species. In addition to collating nesting abundance and distribution information for all species, SWOT is now collecting sea turtle telemetry data for the SWOT Global Sea Turtle Tracking Initiative. The objectives of this Global Sea Turtle Tracking Initiative will include a) a global meta-analysis of tracking data to identify “Important Turtle Areas” that will inform international conservation prioritization, similar to what BirdLife International has done for seabirds, b) integration of telemetry data with other data types in SWOT’s online application on OBIS-SEAMAP to allow users to interact with all data types, and c) an on-going reporting and display effort toward fulfilling SWOT’s long-term science goals. 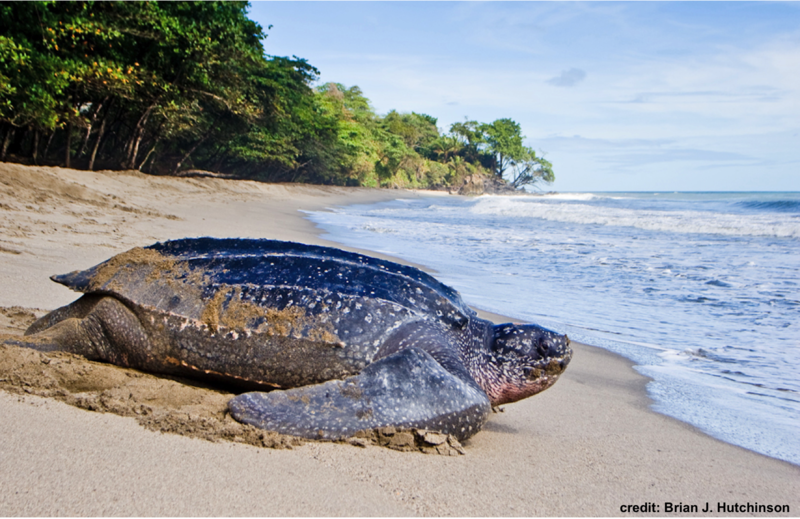 These advances have solidified SWOT as the premier global monitoring system for sea turtles. The current SWOT database contains sea turtle nesting records from over 120 countries all over the world. It also contains previous work initiated and supported by WIDECAST organization as well as data from several other regional sea turtle organizations. The WIDECAST Atlas can still be accessed as a stand-alone application. New data from the SWOT and WIDECAST networks are added to the SWOT database annually. SWOT reports, non-interactive maps (originally published in the SWOT reports), and more information on the SWOT project are available here: http://www.seaturtlestatus.org. Download the OBIS-SEAMAP or OBIS-SEAMAP/SWOT brochure for more information or contact us at swotdata@gmail.com. In collaboration with Dr. Bryan Wallace (SWOT), Mr. Rod Mast (Oceanic Society), and the Marine Turtle Specialist Group (IUCN).